Toothbrush and floss are the most important weapons against plaque, tartar, halitosis, and other oral conditions. However, by using a mouthwash or mouthrinse, you can further strengthen your arsenal against oral ailments. How to Use Mouthrinse and Mouthwash? Step 1: Pour 10 ml of mouthrinse or mouthwash in the cap. Unless specifically mentioned on the label, do not dilute with water. You can use a mouthwash before or after brushing as per your preference. Step 2: Empty the cup into your mouth and keep it shut while swishing to prevent the liquid from squirting out. Step 3: Swish the liquid in your mouth for 30 seconds to 1 minute. Check the directions on your product label to know the exact time the product you’re using requires you to swish. Step 4: Once you’re done, spit out the liquid in the sink. Make sure that you don’t swallow the liquid as mouthrinses and mouthwashes contain chemicals that aren’t fit to be ingested. Step 5: While using a fluoride mouthrinse, wait for at least half an hour before you rinse, eat or drink again. This is because fluoride ions take time to diffuse into the teeth’s enamel. By eating or drinking before 30 minutes, the ions may get washed off. Cautionary Note: Mouthwashes and Mouthrinses are not recommended for children under the age of 6 as they are likely to swallow them. Since toothbrushes and floss cannot completely eradicate bacteria in the mouth, you need extra protection. 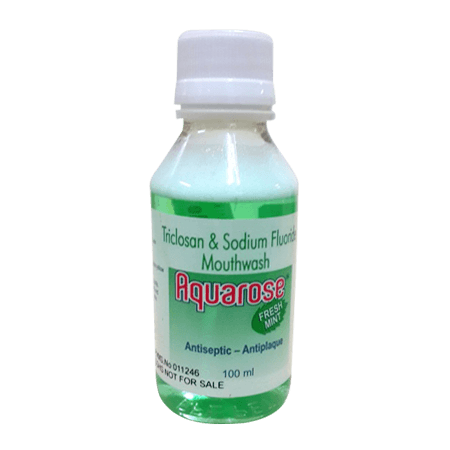 Mouthwashes with antiseptic properties like Aquarose can take care of oral bacteria that are responsible for gingivitis, and mouth & throat infections. Moreover, these can also be used as antiseptic gargles. When food particles get stuck between your teeth, they form a feeding ground for mouth bacteria. These bacteria then produce acids which cause tooth decay. By using a mouthwash or mouthrinse, the stuck food particles loosen and are expelled during rinsing. Furthermore, for orthodontic patients removing stuck food particles by using just a toothbrush is even more difficult. Mouthwash or rinse reach between the metal braces and wires and get rid of food particles. Plaque is the soft sticky film that forms on your teeth. This film contains millions of bacteria that use sugar in the food to produce acid. When plaque is not removed for a long period, it hardens due to calcification and is then called tartar or calculus. Plaque and tartar are the leading cause of tooth decay and gum disease. Since antiseptic mouthwashes are potent enough to eliminate bad bacteria, plaque and tartar build-up are kept in check. Teeth’s enamel has a mineral called fluoride. When teeth are exposed to acids produced by the bacteria, the fluoride in teeth erodes, which leads to tooth decay. While the teeth re-mineralize its fluoride content from tap water and fluoride toothpaste, those at high caries risk need external help. 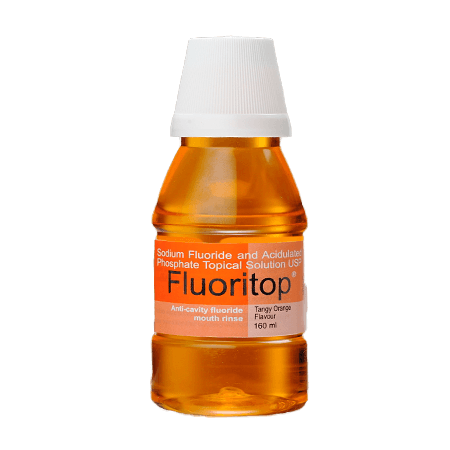 A fluoride mouthrinse like Fluoritop Mouthrinse increases the fluoride content, hence strengthening the enamel. It also reduces tiny lesions and makes your teeth more resistant to decay. However, before using a fluoride mouthrinse, make sure you consult your dentist. Getting rid of bad breath is one of the most common reasons why a person uses a mouthwash or rinse. The most common cause of bad breath is poor dental habits. The bacteria in your mouth thrive on stuck food particles and release bad odour. Since most mouthrinse and mouthwash kill mouth bacteria and cleanse your teeth, they make your mouth feel fresh and purge bad breath. Moreover, flavouring agents in such products also contribute to keeping your breath fresh. If you have to constantly use mouth fresheners to contain bad odour, then you should consult your dentist as there could be an underlying cause for it. A therapeutic mouthwash or mouthrinse can help in prevention and treatment of gingivitis. Gingivitis is inflammation of the gums which is caused by oral bacteria. 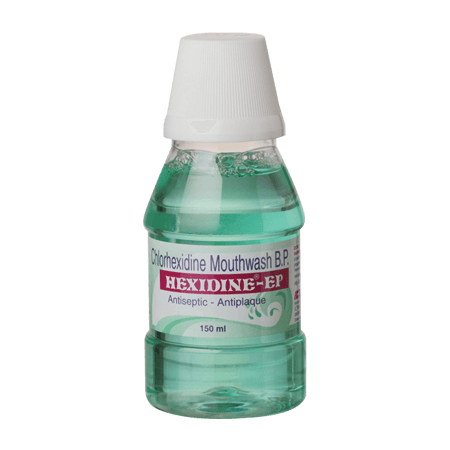 Some of the other conditions which therapeutic mouthwashes like Hexidine and Hexidine EP can prevent and treat are periodontitis pharyngitis, tonsillitis, pregnancy gingivitis, bacterial endocarditis. However, these mouthwashes should only be used under professional guidance. While using mouthwash or rinse perfects your dentalcare regime, they are to supplement and not replace other crucial habits such as brushing, flossing and bi-annual dentist appointments. By maintaining a daily routine, you can effectively keep your mouth healthy. Zbys Fedorowicz, et al. Review of results from five studies with participants who were randomly given mouthwashes or placebo.